→Does This Coffee Make Me Look Fat? Not just any coffee… “fat coffee”. You may also hear it referred to as “keto coffee”, “bulletproof coffee”, or “butter coffee”. 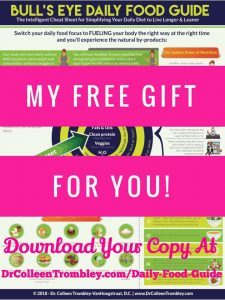 Dr. Hubby and I have been drinking our morning coffee this way for 6 or 7 years now and recommend this to our clients, whether they’re on a weight loss protocol, thyroid recovery protocol, cellular detox, or pretty much anything else where they’re trying to improve their health through nutritional upgrades. A diet that is high in healthy fats, low in starchy carbohydrates, and moderate in proteins is commonly referred to as the “Keto Diet”. 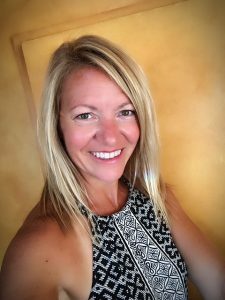 Although its popularity has reached a frenzied pitch in recent times due to its fat-annihilating properties, the keto approach has been well researched for the last century! Some of the earliest medical research on the ketogenic diet dates back to the 1920’s when it was used with great success to help people with epileptic seizure disorder. 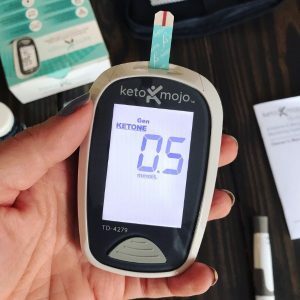 Since then, the ketogenic type dietary approach has been linked to outcome improvements with cancer, diabetes, anxiety, depression, Alzheimer’s, and overall brain health. This fat coffee perfectly fits the profile of a ‘keto-approved food’. Imagine, instead of starting your day with sugary/starchy mainstream breakfast foods and toxic sources of calories dumped into your coffee… AND sabotaging your healthy efforts by re-starting the vicious cycle of being carb-dependent (sugar-dependent) for your sources of energy… starting your day with fat coffee that’s loaded with nutrient-dense, blood sugar-stabilizing, highly beneficial fats to enhance your health, inside & out. That’s right. This coffee starts you on the right path for the day when it comes to revving up your metabolic machinery. Welcome to the benefits of fat coffee! provides sustained energy for hours… not jittery spikes of energy like conventional coffee drinks. THIS is what’s going to make your intermittent fasting a success! 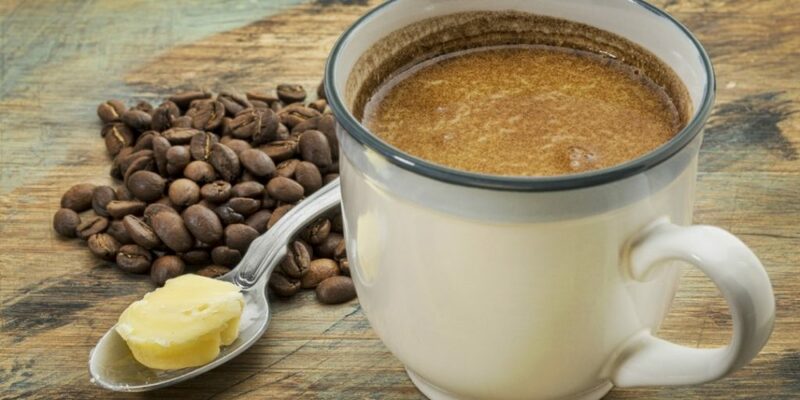 Having a cup or two of keto coffee in the morning, then holding off eating your first meal until midday or afternoon (or even later), is a key strategy in sustained fat loss and maximizing longevity. NOTE: This notion of drinking fatty/keto coffee in the morning, only to follow it up with breakfast (or any other meal or snack) too soon, will sabotage your results!! Think of this coffee as a meal and don’t muck up your day with additional food for a few hours! The smaller your window of eating, the greater the benefit. As you progress into this lifestyle of modified keto eating + intermittent fasting + fat coffee, a goal to aim for several times per week is to have a very small window for eating – eg. eat all your food in a 4-6 hour window, meaning you’re NOT eating for 18-20 hours of the day. Eating just one, big, healthy meal per day a few times per week is another common goal for those adopting this lifestyle of being metabolically flexible. Good news: feast days are also part of this lifestyle! For now, drink your fat coffee and hold off eating for awhile! Baby steps. Organic coffee (Non-GMO) – Quality coffee is known to be super-high in antioxidants. Choosing organic is important to avoid known carcinogens that are used on conventional crops. Grass fed butter – Contains high levels of conjugated linoleic acid (CLA), a compound that helps the body store lean muscle instead of fat, and my protect against different types of cancer. Butter gives the coffee a creamy, delicious texture. Coconut oil or MCT oil – Coconut oil is high in medium-chain fatty acids (MCFAs) that provide an excellent source of energy. Coconut oil has been shown to improve antioxidant levels and reduce stress on the liver. MCT stands for medium-chain triglycerides, a form of saturated fatty acid that has many health benefits, including improved weight management and improved cognitive function. Coconut oil is a great source of MCTs — roughly 60-80% of the fats in coconut oil are MCTs. I mix it up. Sometimes I use coconut oil; sometimes I use MCT oil. 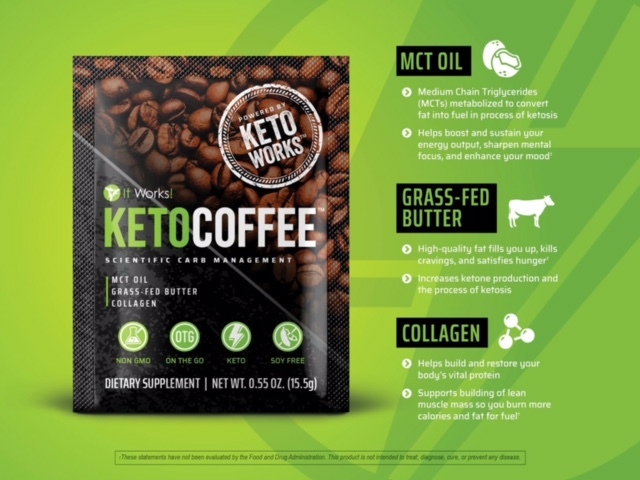 Collagen – You won’t necessarily see collagen in all fat coffee/keto coffee recipes. I like to add it due to its many health benefits, like improving the skin, hair & nails from the inside out, aiding in gut repair, and building muscle & joint health. Optional: If you feel the need to ‘sweeten’ it at first, I’d stick to healthier ingredients like cinnamon, pure vanilla extract, or stevia so that you’re not over doing your carb/sugar intake and spiking your insulin. Add your butter, coconut oil/MCT oil, collagen. Mix with an immersion blender to emulsify all the fats and give yourself a nice frothy cuppa’ joe! Super simple! I brew my own coffee every morning at home and add the ingredients listed above. But there are some afternoons at work that I like to have a little bit more… especially since I know it’s helping me tap into stored fat for fuel AND keeping my focus sharp. I don’t lug around a jug of collagen, a jar of coconut oil, or a pack of grass fed butter! I use a convenient little PRE-MIX called “Keto Coffee”. It’s perfect for on-the-go healthy coffee! Each packet has non-GMO coffee, grass fed butter, MCT oil, and collagen all mixed in a powder form. You just stir it in with hot water OR blend it with cold water & ice for an iced coffee. You can also mix it with a protein powder to provide more of a meal replacement. These are our go-to coffee drinks when we’re travelling – no more toxic coffee from coffee shops or gas stations! I encourage you to give it a whirl! 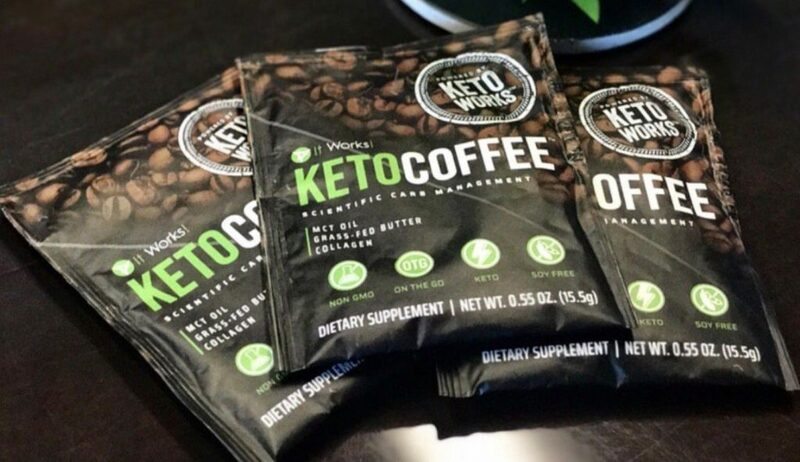 Whether you brew it yourself and add your own ingredients, or opt for the done-for-you packets of Keto Coffee, fat coffee may very well end up being one of the healthiest things you consume all day! Remember, where you REALLY see the benefits of fat coffee is when you combine it with intermittent fasting and a high fat/low carb dietary approach.